We can help you to understand your legal rights during foreclosure, advise on the best way to deal with your lender, and prepare a foreclosure workout that meets your needs and protects your interests. Our lawyers counsel clients who are considering bankruptcy to determine whether Chapter 7 or 13 best suits their needs. We thoroughly review financial circumstances to determine eligibility for filing bankruptcy, and explain what to expect and what is required. We file bankruptcy on behalf of our clients, handle creditors, and stop harassing phone calls. Legal documents, such as wills, living wills, trusts, and powers of attorney protect family assets and safeguard a family’s future. Our estate planning lawyers advise clients and structure individual estate plans to meet their needs. 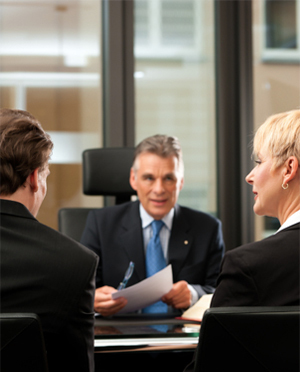 We also handle estate administration matters, and other surrogate courts proceedings. Our attorneys provide tenant advocacy in landlord/tenant issues to resolve disputes, such as rent increases, evictions, non-payment of rent, holdover proceedings and responsibility for repairs, Our attorneys have dedicated their lives to the protection of tenants interests and the betterment of their lives. Our lawyers at Gorlick, Kravitz & Listhaus interact with clients to provide legal help for financial, estate planning, immigration, and many other types of personal matters. We have highlighted some of the more common concerns we address, but welcome the opportunity to discuss any personal issues that require legal assistance. To arrange a consultation, call 212-269-2500 or contact our New York and New Jersey lawyers online.